Every now and then you come across people who just give so much of themselves and inspire so many people they come into contact with. Ramos is one of those people. 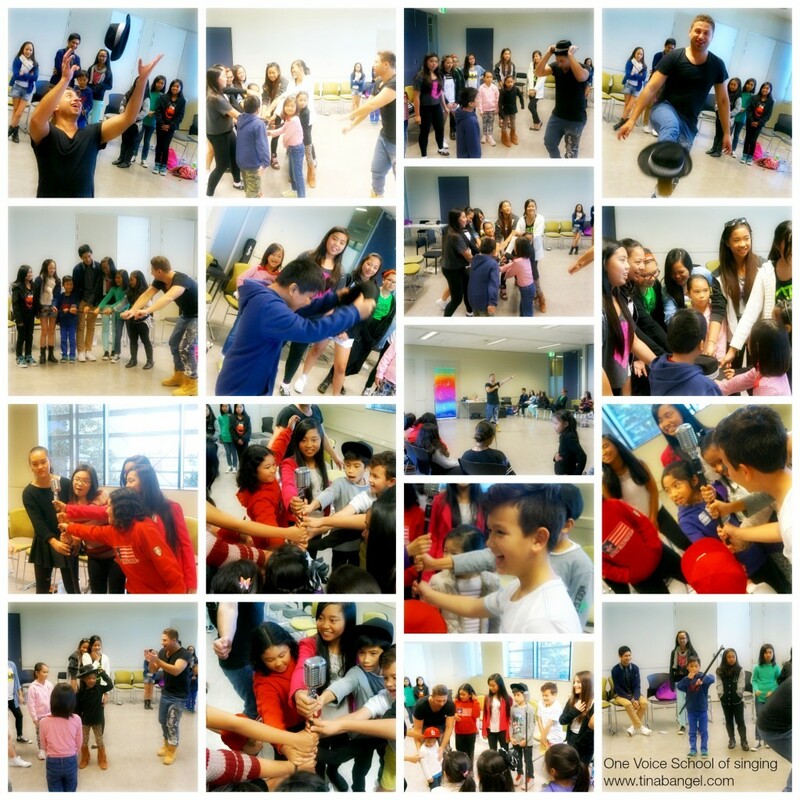 Armed with props and a huge personality, Ramos gave the One voice kids confidence building ideas. The message for the day was to share YOU! It’s something that I love to reinforce with the students I teach…the world does need to hear what you have to say. Imagine people in the audience that will bring out the confidence in you. Suggestions from students were their Mum, family members, Beyonce and other stars. Nourish yourself with good food and drink so you can perform and be at your best at all times and look after your health. The use of props to take your performance level higher. To capture the attention of the audience. You then become more than just a singer… you become a performer! In one exercise the kids were asked to draw symbols, words and shapes that represent who they are. This was a powerful exercise. Fierce, Infinite and love were just some of the words. “Love” stood out for me, 7 year old Marijanna suggested it. It captured what singing was all about for her. Singing is shared with loved ones and she feels love when she sings. Another one that stood out was a happy and sad face. It was represented by this symbol :(: Angelica suggested it’s about perspective! 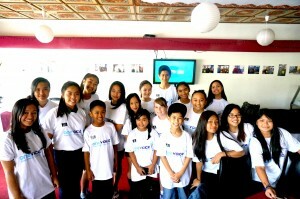 Lorenz mentioned that we have our “bad days and happy days.” The kids had a blast guessing who’s logo belong to who. So much creativity and soul searching! Ramos! You make this world a better place. 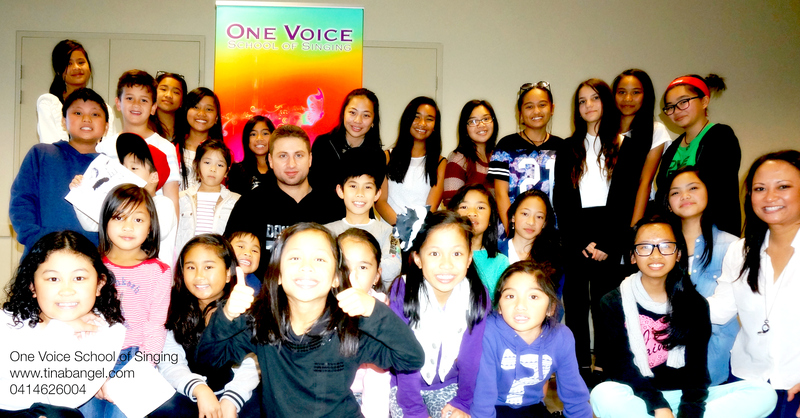 Thank you for sharing your music knowledge with the One Voice kids. You can find Ramos on Facebook and YouTube . Don’t forget to purchase tickets to our mid year concert which falls on the 6th of July, Castle Grand. Purchase tickets and details click here. Tell us how you build up your confidence! If you were one of the One Voice students that attended the workshop go ahead and tell Ramos how much you enjoyed it…I’m sure he would love to hear your comments below! If you enjoyed this post please like, comment and share! Jennifer Paige is one clever one lady! She was able to fit over 100 fan names in a song. She celebrated 30,000 likes on her facebook fan page and this original song called “30,000 beautiful people” was her gift to her fans. Fan engagement is the only way to go these days. It’s not only about the likes on a facebook post but it’s all about the interaction and authentic fan engagement. Another clever artist who is amazing with authentic fan engagement is Jayden Rodrigues and his NeWest group. I have had the pleasure of performing with Jayden during our Cabaret shows- Eye of the Tiger and Manila by Night. Their clip has had over 11 million views and Jason Derulo has even retweeted their clip. ‘Talk Dirty’ Routine hits over 11 Million views. How cute are their fans! They even having fans of the week and fans posting up their own versions of Jayden’s choreography, many from the Philippines. So what does this mean? So many likes and views? It means that as an artist you are SEEN and hopefully people will start trusting you. If you are creating videos, posts on facebook, tweets etc keep at it. If someone likes it or comments, reply back and engage with your fans. Take care of your fans and you will see your fan base grow. This is part of Music Business! 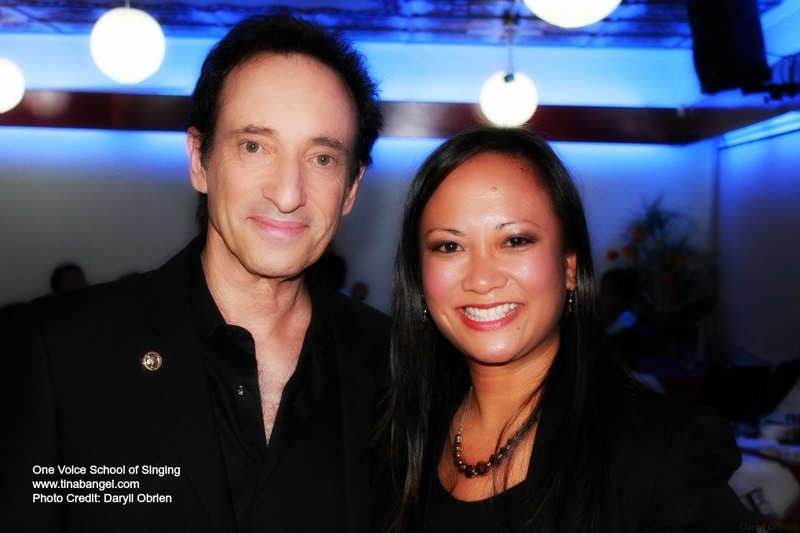 Check out my interview with Multi award winning singer/songwriter Mr. David Pomeranz. He shares valuable Music Business tips. If you liked this post like it, share it and tell us how you engage with your fans …you can even share a link to your clip! 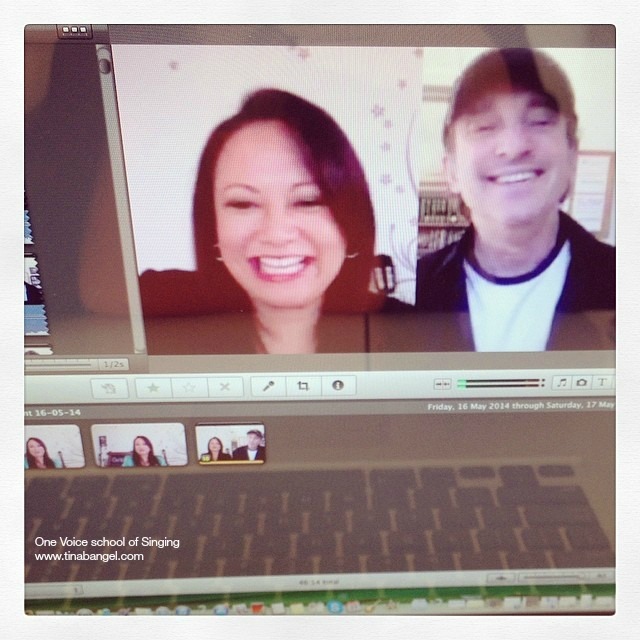 I’m so thrilled to have Mr. David Pomeranz as my guest on my first ever Vlog! What a perfect first guest to have! David Pomeranz is one of the most successful and prolific songwriters and performing artists on the scene today. His songs and recordings have sold over 40 million copies worldwide, earning him a total of 18 Gold and 22 Platinum records, and his live concerts have delighted and inspired millions all over the world. David Pomeranz and Tina Bangel. Editing the clip down to less than 15mins was so hard because David was so entertaining! I love David’s generous nature, kindness and wisdom. His beautiful nature is so contagious and inspiring. I had the honour of singing with David during his Sydney concert back in 2012, thanks to Carol Manoloto of Oz-Pinoy Entertainment (who believes highly on giving kids a great head start with music by giving them amazing performance opportunities). It was such an honour to sing “If you walked away ” with him. A song he originally sung with Filipino megastar Sharon Cuneta . The first time I met David he made me feel so comfortable and at ease. A few of my One Voice senior students I taught were also part of the support act. The way he called us on to the stage was unforgettable. He made us all feel like we belonged on that stage! Like we owned it. 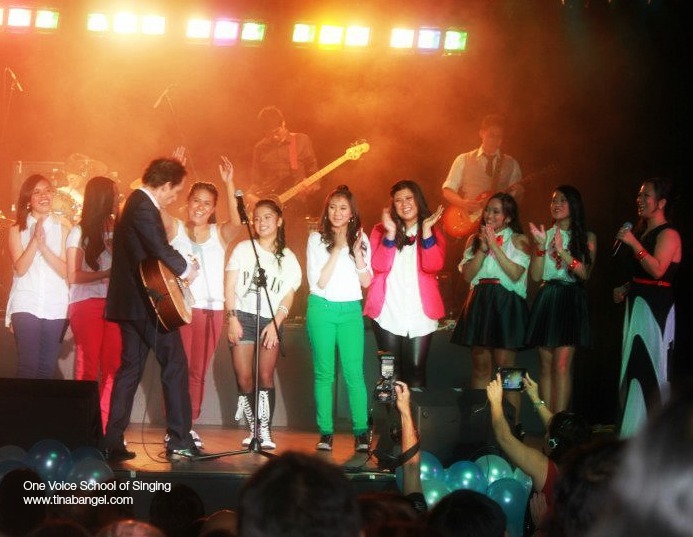 David Pomeranz and Tina Bangel with Support artists and Senior One Voice students. That is what a true star is! A true leader, who naturally brings out the best in people. I’m so blessed to call him a mentor and friend and I can’t wait to one day sing with him again. Enjoy watching this amazing man. Secrets to be successful in the music industry. Early childhood musical memories with his family. Here is the link to what David was referring to in the first clip. If you were inspired by David please tell us your thoughts. Maybe you are a budding songwriter and performer. What steps will you take towards your dreams? Comment, like and share this. It’s the day where we celebrate our mums and females who have cared for us. I’m so happy to see the happy photos of families with their mums and beautiful greetings on Facebook. For some today may not be so happy. Being a mum is beautiful but it can have it’s challenges. No book, class or person really prepares you for this job! I was one of those people who used to think “oh I’m never going to put my child on a ‘leash’! ” until I had a very active little boy. I used to say, “oh I’m going to have a natural birth and it will be all fine” I was induced and had an emergency C section. I used to think “breast feeding us going to be a breeze!” and I spent weeks in tears because it just wasn’t working. Judging people! Yes, that’s what I found myself doing…we all do it…. It’s a working progress. 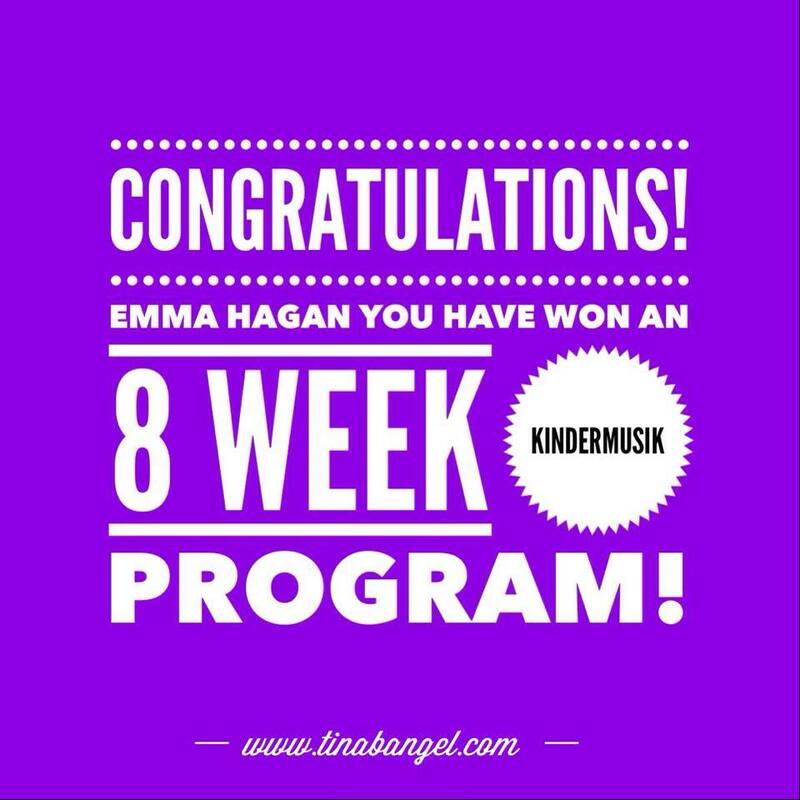 I often catch myself in that “don’t judge mode.” It may be because I am now a mum and also a Kindermusik educator who meet families each week. Families with newborn babies to families with teenagers. Last year, I bumped into an old Kindermusik parent. She had told me the very sad news of another Kindermusik mum passing away unexpectedly. Both mums became close and had been coming to my Kindermusik classes since their kids were 6 months old until it was time for them to go to BIG school. This just broke my heart, she left behind 3 little girls and a loving husband. Each week they would come to class so happy and excited. That’s how I remember this beautiful and amazing mum. Next time you see a mum who is having a hard time, give a smile or supportive comment. If you are the mum struggling that day you don’t need to always be a Superwoman. It’s ok to ask for help. Even if you see the “all together” or “happy go lucky” mum ask them if they are ok. They may be hiding some pain behind their smile. I have spent the day contemplating on whether or not I should share this song with you, I was scared that I was going to be judged on the quality of the song, then I thought that it may bring comfort to a mum or a child out there. Well, that is my intention – to bring comfort. This song is called “Tomorrow, it’ll be a better day.” It’s Christian’s favourite song…it’s my lullaby for him…MY WHITE FLAG during our battles. This is dedicated to Rosemary and her beautiful girls and husband. I would love to thank Van Sereno for helping me bring my thoughts to life and Byron Mark for helping me record this song. We all have good days and bad days. Then there are those days when something isn’t quite right, you’ve got something on your mind, or things just seem too much. Whatever it may be, sharing the load with someone else can really help. Call Beyond Blue – Call 24 hours a day, 7 days a week 1300 22 4636. Remember you are someone’s reason to smile. It IS a happy mothers day! This is my little gift for you! If you would like a free copy of this song just fill out your details below. Download Tomorrow, it'll be a better day! I would love to hear your thoughts, leave a comment, like and share this song and post. Be sure to watch Lionel Cole on The Voice tonight at 6.30pm channel 9 tonight Sunday 4th of May. 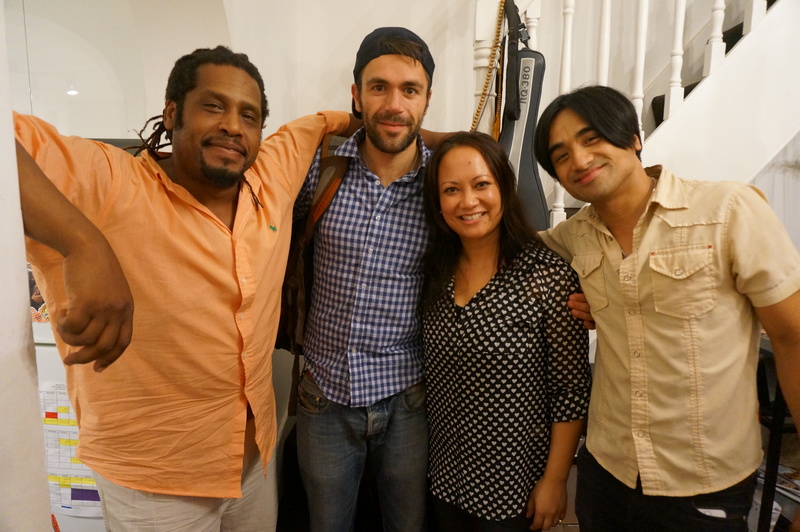 I had the pleasure to co-write a song called Be heard with Lionel Cole and Louie Ocampo. What amazing experience! 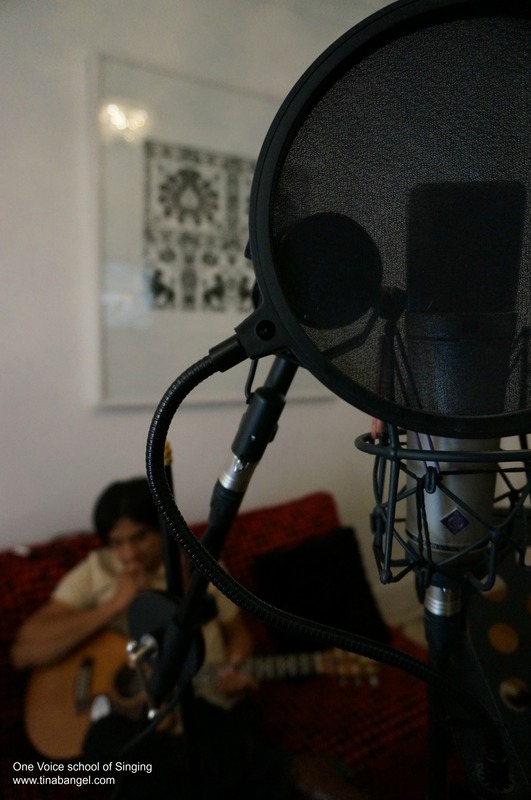 We are now in the process of recording songs that I co-wrote with my talented friend Van Sereno. I can’t thank Lionel enough for all the encouragement and guidance during the recording. This experience has been a major game changer for me. This is what life is all about. Making dreams happen. Creating the life you deserve because you only live once! If you want the confidence to make your/or your child’s singing dreams come true would love to hear from you. 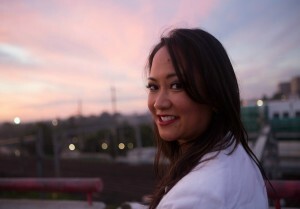 Get your free PDF on Top 10 tips to Cultivate the professional singer in you by visiting www.tinabangel.com. So here are 107 songs that are age appropriate for kids to sing. I have categorised them but remember they can be changed to make it your own. Don’t limit yourself…just because the original sounds a certain way doesn’t mean you have to disregard the song. I haven’t listed any adult songs or adult themed songs however please don’t limit yourself to singing songs even if they have adult words in them – perhaps ask a parent to help you change the lyrics of the song so that you can eliminate the inappropriate words. For example part of the Price Tag song you can change the word Video hoe to Video Girl. These are just some ideas, if you have any other song ideas or arrangement ideas for our readers please comment below. We would love to hear from you! 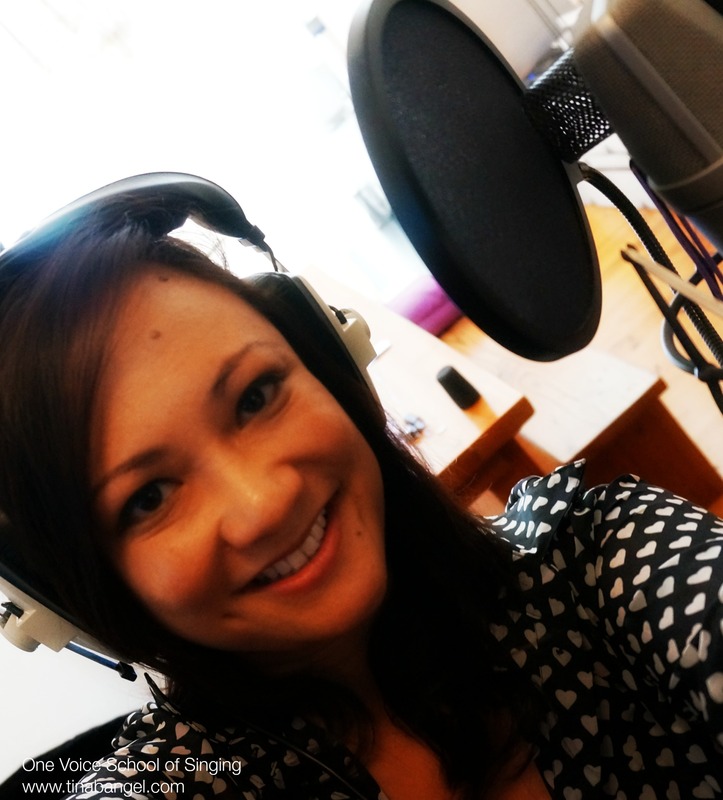 Don’t forget to visit my landing page where you can get my 10 top tips to cultivate the professional singer you! Our new Kindermusik topics will be so much fun! I hope you can join myself and some of the other amazing Kindermusik families for our new term. We will start our new program the week of the 28th of April, 2014. The term runs for 8 weeks and is $145.00 for the term. You will receive 8 weeks of 45mins sessions and Online materials that are so valuable for extending the musical benefits at home. Boosts baby’s brain and your bond! ENROL NOW! Just fill up the form and I will send you an invoice. After months of preparation, rehearsing, memorising and creating tomorrow is the big day! Today the One Voice kids and myself had the honour to finally meet Charice, Alyssa Quijano and musical director Troy Laureta. We won’t really get to chat much to them as much as we would love to…but hidden behind the passing giggles, iPhone selfies, star-struck smiles and stares we cannot thank them enough for touching our lives. Music is so powerful that it bridges countries and generations together. It brings happiness and purpose to many lives and for that we should all be forever grateful! 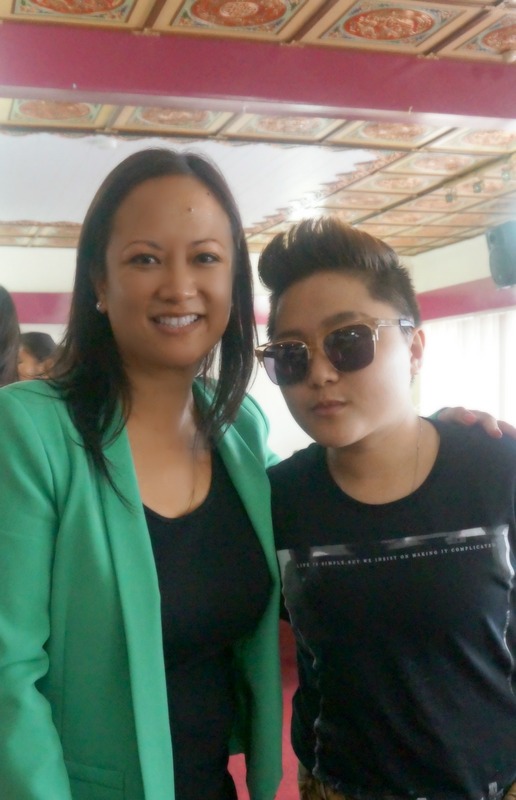 Charice together with the undeniable power of her voice and her courage to be herself has brought so much joy to the Filipino community and has inspired people to sing! 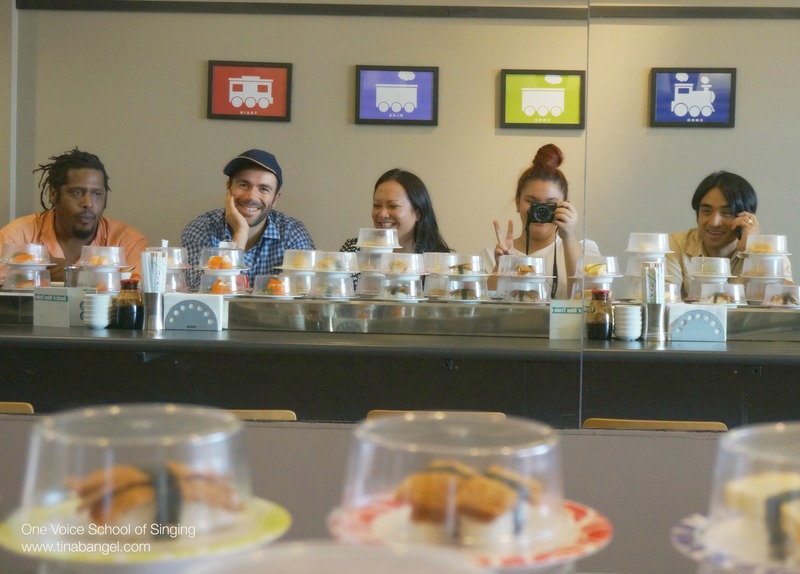 My goodness…It inspired me to co-write a song! Something that I have been dreaming about for years and never got around to it…excuses after another! But finally the kids and I will be singing Be Heard. 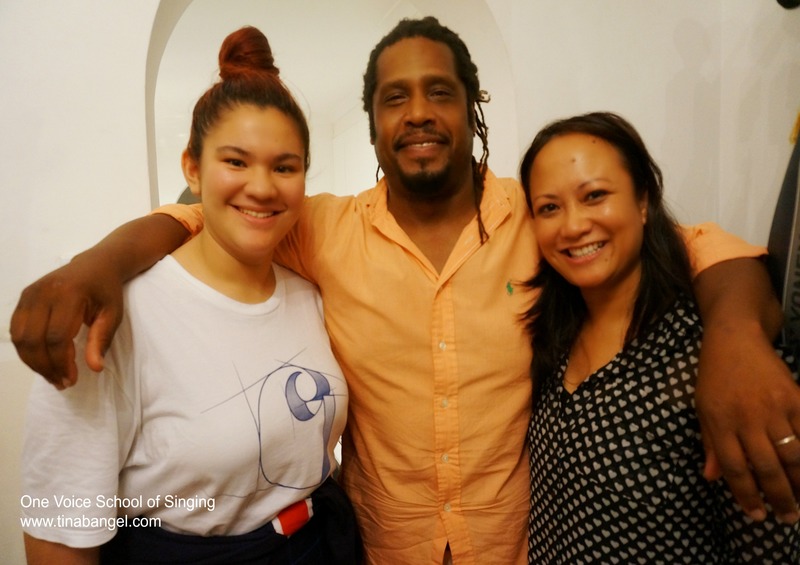 A song I co-wrote with Louie Ocampo and Lionel Cole. What an experience! Thank you to our sponsors Diaz Foundation, Help After Haiyan/Australian Filipina and Pinoy Home Loans. 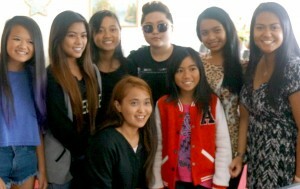 Thank you so much to Cheers entertainment, Jasper, Karen, Mylene and their families for giving us the opportunity to share the stage with Charice. We are so excited to be part of this production headed Francis Balagtas. To our fellow support acts and their families, Blackout, Chelsea, Bernadette, Jinky, Dani, Allyssa, Mikee and Leilani thank you for making the rehearsals so much fun! Sydney Support acts with Charice. 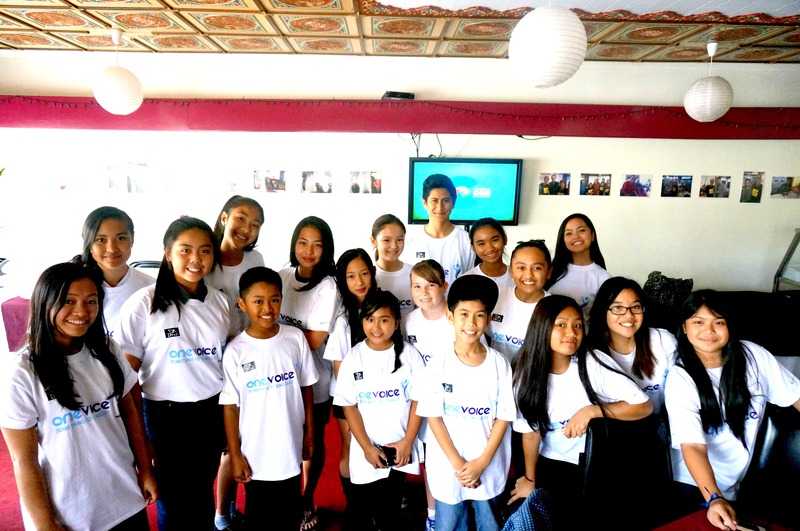 So proud of amazing One Voice kids and their families for their continued support. I can’t wait to watch you all shine and share your gifts Alyssa ,Ally B, Chloe, Isabella, Caitlin, Jade, Jarrod, Jared, Chelsea, Angelo, Erica, Joy, Giuliana, Olivia, Kiahna, Adrianna, Ally, Abbey, Clarissa and Jessica! 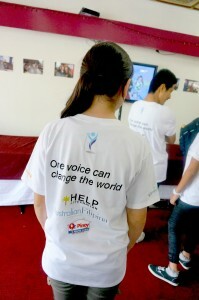 If you learn anything from this experience I hope you take away our motto – One Voice CAN change the world! From the word’s of my mentor Marie Forleo – The world needs that special something that only you have! 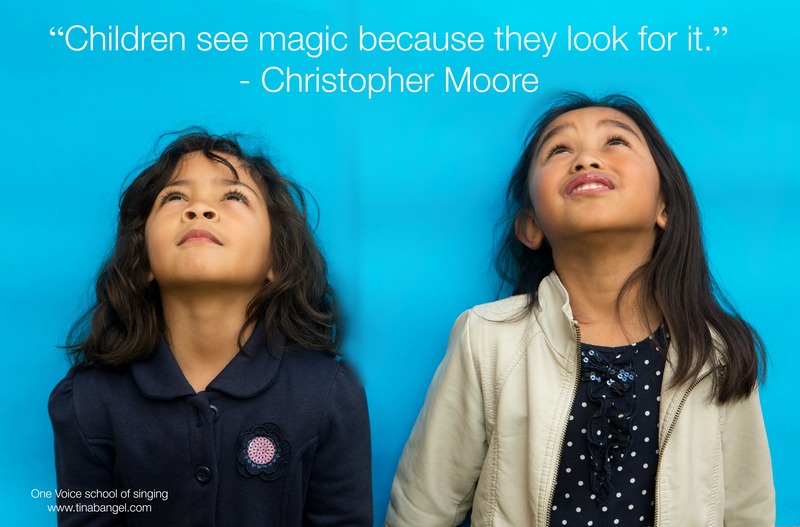 I hope you live your lives full of beautiful discovery and learning. Be yourself and be true! There is only one you! If you are hanging around for the concert there will be fliers on the tables with details on how to enter our One Voice competition. 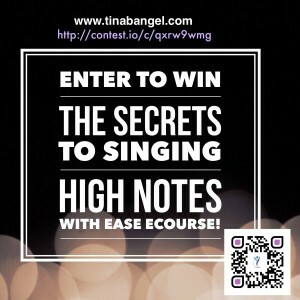 You can be in the running to win The secrets to singing high notes with ease e-Course. You can also enter HERE. Once you enter please confirm your email so we know you are a real person. Good Luck! 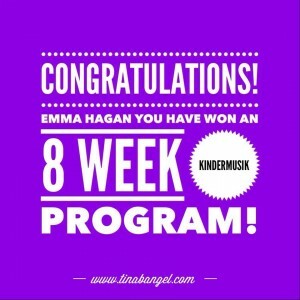 I’m thrilled to announce our Kindermusik Program winner Emma Hagan! Thank you to all who entered the competition. I will be announcing our other prize winners very soon..so stay tuned! “Runyos…Ran… Rrrrano. What kind of last name is this anyway? What bloody country is she from?” This was the racist remark I heard the MC say to a producer of a show. I was opening act for a well-respected Australian Rock ‘n’ Roller more than 15 years ago when I was starting out in the club scene. I remember that night, as vivid as the stench of 30 year old spilt alcohol mixed in with hairspray fumes that filled the dressing room. Dust and dirt camouflaged into the moss coloured RSL club carpet. The dim depressing lighting didn’t help. I could hear the geriatric voices of the men chatting away, they had no idea I was downstairs listening to their every word. I hope things have changed since then. This was just some of the remarks I have come across in my life. These remarks and experiences made me realise that I was going to keep going with singing and one day help people who would normally say nothing to find their Voice. Singing was that avenue. I knew in my heart that one day I was going to help kids or people who were just like me fight back in a way that could breakdown those barriers. I look at my parents and how hard it must have been for them moving from the comforts of their homeland to make a better life for our family. These were just some of the racial comments we endured back in the late 70s when we first migrated to Australia. I didn’t open up my singing school just to teach people how to sing. It’s an accumulation of what I felt as a child and young adult that brought me here. I needed to be heard…I had something to offer…I didn’t know how or what it was I was supposed to do. But I noticed that when I would sing people would stop and listen…. One Voice represents kindred spirits who need to be heard. My dad and mum didn’t know it at the time but their Voice changed my world. They had the courage to move to a whole new country, with no family or friends to help them. They started from scratch. 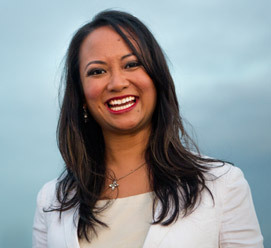 They met families and a community with similar values, hopes and dreams. They didn’t know it but their Voices help shape the community to what it is today. Even the racial remarks made a difference in my world. One Voice has a ripple effect and can change someone’s world…for the better! Tell us in the comment below…what’s your Avenue? Are you a dancer? An artist? A writer? A teacher? What are you doing to be heard? Don’t forget that I am offering a pre-sale discount for my new 6 week eCourse. The Secret of Singing high notes with ease.